My wife is attending a meeting in San Francisco so we decided to take a few days and explore wine country as well as San Francisco. It is always nice making a work trip into am mini vacation. I am generally a fan of UBER as it is a great tool and so much better than using a taxi. The only time I do not like UBER is when Surge pricing is activated. This is when they charge a premium for rides when there is more demand. UBERx generally is a lot cheaper than a taxi and it is a better experience because it is cashless. There has been a lot of talk lately about giving tips as UBER does not pay the drivers very well. So I have been giving a couple bucks with each ride now but it is not necessary. Hopefully UBER will add in the tip option riders will not have to carry cash. UBER offers an option called Pool in many large cities that allows you to share rides with one or two other people at a reduced cost. Within San Francisco in the city, rides are $5.95. Which is a lot cheaper than a taxi. My wife and I used UBER Pool on two occasions while we were in the city. The first ride there were no other riders with us. On the second ride, we shared it with one other person. In order to use it, you call up the app just like any other time. If Pool is available it will show up on the left hand side of the app. 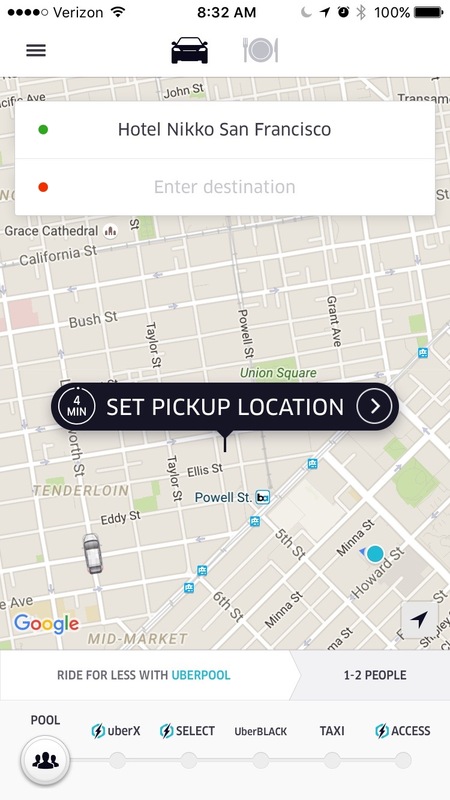 Once you set the pickup location, it confirms the method of payment as well as shows the cost for Uber Pool. 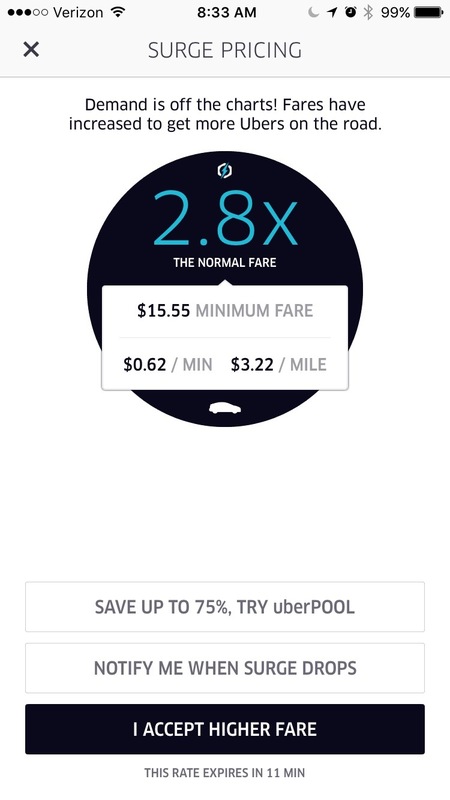 I found that Pool was available at the standard price even when UberX was on surge. On our first experience, we were able to get a car within three minutes. The second car took longer because the GPS took the driver to the wrong location. But in that instance, it only took an extra seven or eight minutes so it was easy. The two drivers were polite and the cars were clean. When we shared the ride, the other person was dropped off first and it only added about five or six minutes to our ride. Overall, I felt it was a good experience and it is an nice way to reduce the cost of rides within the city. It is possible to use Uber Pool to the airport as well. That costs about $20, which is often half the cost of regular Uber X. If you haven’t used UBER yet, I would recommend giving it a shot. Use my promo code: 80aoq and get $15 off your first ride.